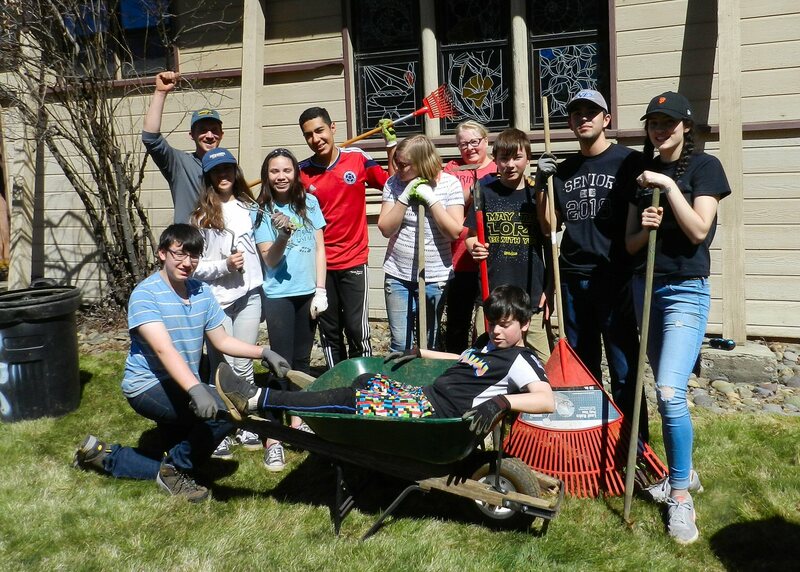 Burney was blessed by the visit of a group of enthusiastic young people from Sacramento who came to work on the grounds of the Burney Presbyterian Church at the corner of Hwy 299 and Marquette Avenue. The group was invited and hosted by Pastor Penni Elaine Scarbrough and her husband Tim. The visiting Northminster Presbyterian Church Youth Group consisted of nine youths ranging from 12 to 19 years of age. Their group leader was Jacob Smith. Pastor Caroline Lindley from Lansing, Michigan, served as chaperone. The group arrived on Sunday, March 25 in time for an afternoon service and dinner with parishioners. Mike Kerns provided lodging for the group at his home in Cassel during their stay. On Monday morning after a nice breakfast at the church, they did a lot of raking, mowing and clearing the vines. In the afternoon, they had a chance to go fishing. On Tuesday, they had breakfast at Anna’s Country Kitchen and then did a lot of weeding. In the afternoon, they went bowling. On Wednesday, they pulled grass and seeded the flower beds. Thursday they will visit Burney Falls and then head back to Sacramento. 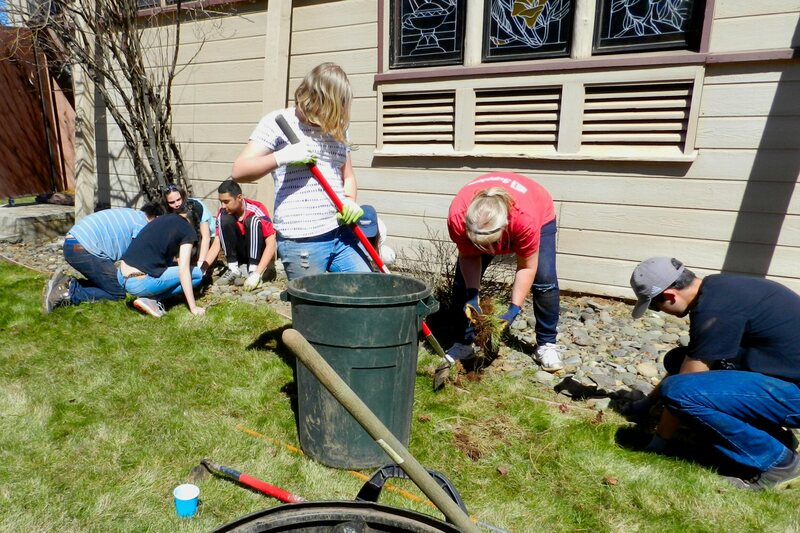 Each year the youth group goes on a service mission during their Spring school break. On one of their missions they went to San Diego. One year the helped to clear an area in the Redwoods. Youth leader McNary said that he hopes they may be able to come back to Burney to do more work. The oldest teen, Lily Masias, has been participating in youth group activities since she was 13. She is now 19. Masias graduated from high school in 2016 and then went through Navy boot camp and ROTC training. She plans to continue her education to become a dental assistant and then complete her active service in the Navy. “We’ve experienced Burney’s beauty and have enjoyed the warm welcome from Tim and Penni,” Masias said. Not only did they experience the beauty of Burney, they also made Burney more beautiful through their hard work.